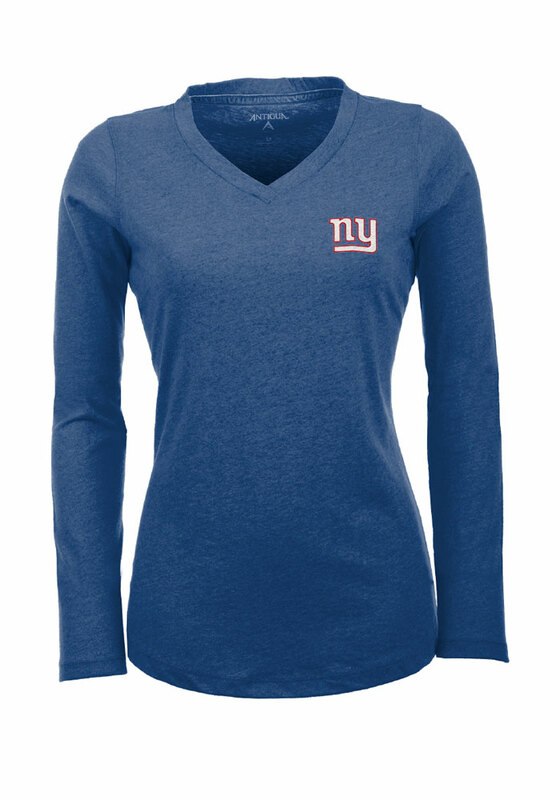 Display your New York Giants spirit in this New York Blue Women's V-Neck! Featuring a left chest embroidered team logo, this New York Giants Long Sleeve T-Shirt is a must-have for any fan. Go Giants!